The problem is that UNESCO commits the very crimes for which it condemns ISIS. 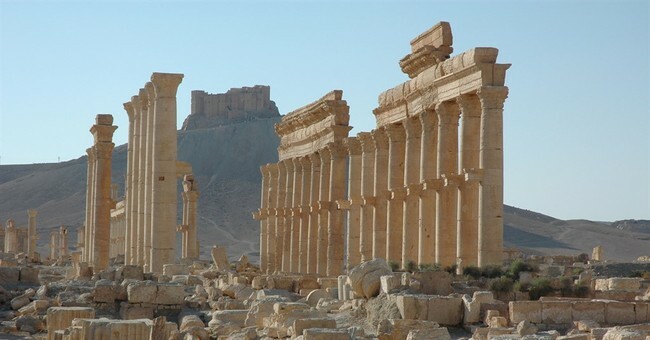 Indeed, it committed the crime of seeking to wipe out history, whose preservation is “an essential condition for peace and the future of the region,” the day it passed its resolution on Palmyra. No English dictionary has been able to adequately explain the difference between these two words. In a recently held linguistic competition held in London, England, and attended by the best in the world, Samsundar Balgobin, a Guyanese man from Bachelors Adventure, was the clear winner with a standing ovation which lasted over 5 minutes. The final question was: How do you explain the difference between COMPLETE and FINISHED in a way that is easy to understand. Some people say there is no difference between COMPLETE and FINISHED. Here is his astute answer … when you marry the right woman, you are COMPLETE. When you marry the wrong woman, you are FINISHED. And when the right one catches you with the wrong one, you are COMPLETELY FINISHED! He won a trip to travel the world in style and a case of 25 year old Eldorado Rum.